*Note: flavors vary based on stock availability and the image is not representative of flavors included. 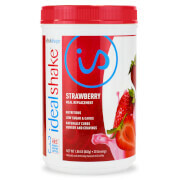 IdealShake is delicious weight loss you’ll love. 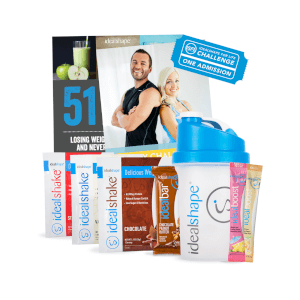 IdealShake is designed to save you money, time, energy and pesky hunger pangs. IdealShake utilizes the power of Slendesta, a natural hunger blocker that keeps you full for up to 4 hours! Most meal replacement shakes only use fiber to fill you up, but it's rarely enough to get you to your next meal. We use a unique blend of protein, fiber and our hunger-blocker Slendesta®, a potato protein extract with no reported side effects. You won't find it in any other shake on the market. 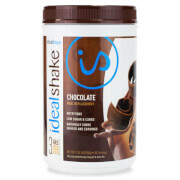 You'll be getting 11g of 100% whey protein, giving IdealShake a velvety-smooth, rich and thick texture. Plus, whey protein is easy to digest and quickly absorbed by your body. Please see individual products for ingredients and nutritional information. Great tasting shakes! The vanilla and strawberry are my favourite! I use unsweetened almond milk and I also add half a banana to mine just to make it heavier and it tastes great!